Exclusive Professional Smoothing System formulated to reduce 95% of frizz and leave your hair looking sleek and smooth! No down time or processing time. Some treatments have to stay on the hair for 1-3 days. Pure Brazilian washes out of the hair immediately! Smooth. Healthy. Shiny. Gorgeous. It is essential for clients to use the Pure Brazilian Home Care line to ensure long-lasting results! The Pure Brazilian 3-step system is the most advanced and effective professional smoothing treatment available. A unique formula of Brazilian keratin, amino acids and super hair nutrients help improve the overall condition of the hair. The results: Stronger hair shafts, smoother cuticles, less frizz and a luxurious radiant shine. Color “pops” as the cuticle is sealed with moisture. Blow-drying time is cut to 1/3 of the usual time. 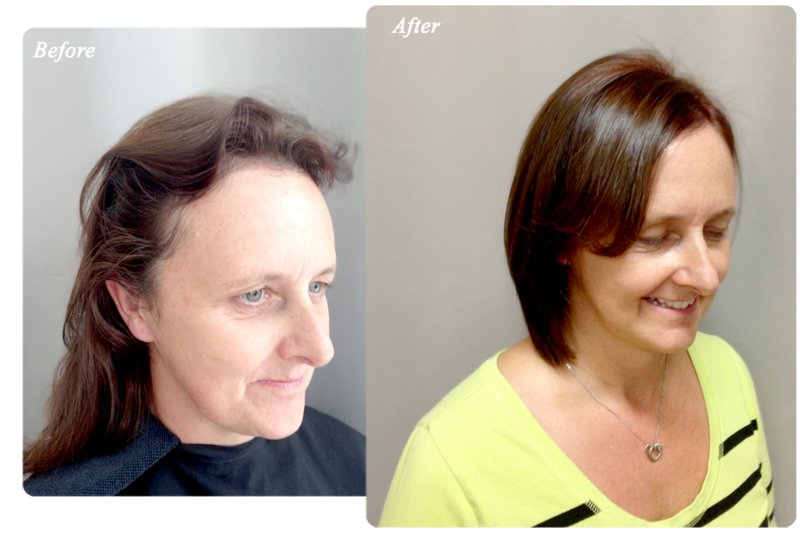 A blow-dry that once took 30 minutes is now complete in just 10! To perform the Pure Brazilian treatment, salons have a choice between our Original Reconstructor Solution or our innovative new CLEAR Solution! This salon proven, plant derived formula combines essential hair nutrients, fortifying amino acids, Brazilian keratin along with glyoxylic acid to achieve smooth, frizz-free hair without the use of any harsh chemicals. The perfect alternative for those who are looking for a softer, more voluminous effect than our Original Solution.